On Sick Babies, Heart Month, and Fighting for our Hearts - First Edition First Aid Training Inc.
Heart disease is the leading cause of death in Canada for adults and babies alike, and is affecting millions of people around the globe. For the entire month of February, those in the health and heart industry, as well as the general public, will work to raise awareness for Heart Month. This monthly campaign is created to assist in raising further awareness for heart disease, those living with it, and supporting loved ones who are directly or indirectly affected. Heart Month is a great initiative… but the campaign is missing something. 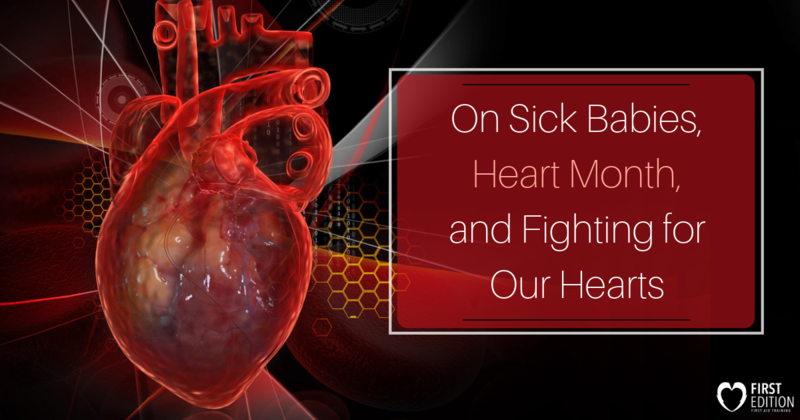 The problem: Heart Month should be about taking action. Instead: It has become focused on ‘wearing red’ and ‘going for a run’ to SHOW your support. The team at First Edition is proposing that we bring reality and action back to Heart Month. It is time to DO something. 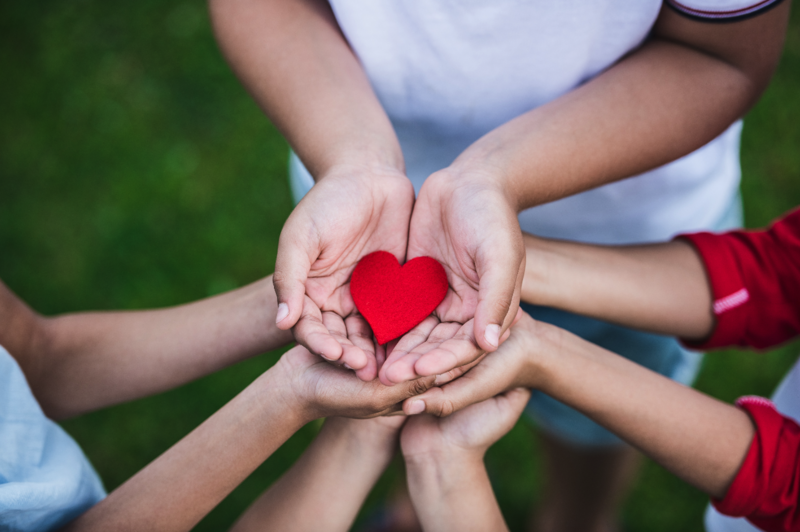 Take a look at why we need to change our approach to Heart Month and understand just how important it is to fight for our heart health and that of others. Every year 1 out of 100 babies is diagnosed with a heart defect (Cardiac Kids). There are roughly 30 different types of congenital heart defects (CHD), all seriously affecting the health of infants, with the potential risk of lowering life expectancies. There are no specific causes for CHD, only that the heart is formed abnormally during the critical development stage of fetus growth. There is nothing a mother can do to prevent this, and the reason for these defects remain unknown. These health problems are serious and even life-threatening. From the year of 2006 – 2008, congenital conditions were the leading cause of death for children less than 1 year old in Canada (Statistics Canada). Congenital problems also continue to be one of the leading causes of death for children in higher age brackets as well as infants. For any parent, this news is frightening. 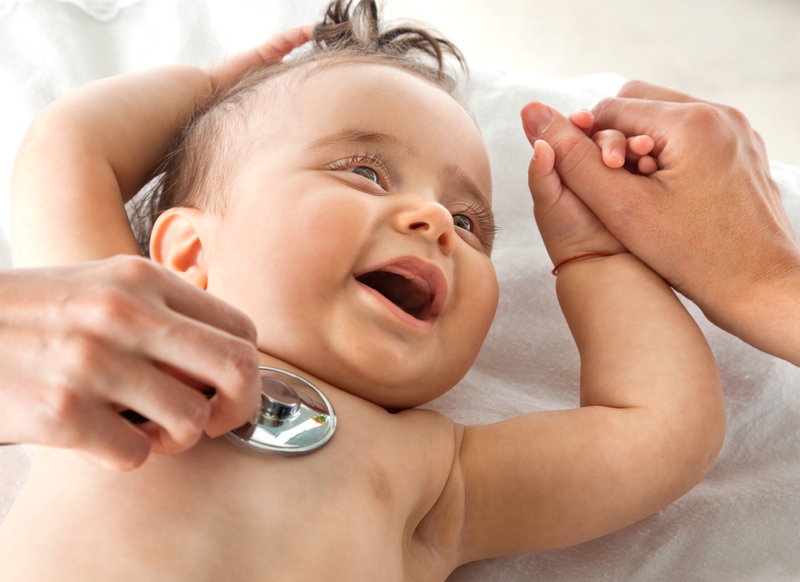 Heart defects in children often requiring surgery to correct. The fact of the matter is that every child living with a heart defects (or heart disease), will require some form of assistance at some point in their life. Whether they need a new heart valve, open-heart surgery, or require an AED in their home to be prepared for heart failure at any time. It is only through increased awareness, advancements in research, and support (both financially and emotionally) that we can help these babies and show their families the love essential to keep them fighting. Aside from joining in Heart Month campaigns such as wearing red or participating in a fun run, (which are all wonderful first steps towards increasing awareness on this issue) we would like to suggest that this year, you take raising heart awareness a step further. At First Edition, being immersed in the industry, we see the need for heart awareness daily, not just during Heart Month. Here are a few ways our team continuously works towards achieving improved heart health and supporting those struggling with it. First Edition First Aid is proud and honored to be able to donate partial proceeds from every AED sold during heart month to the Heart and Stroke Foundation. It is through this one simple act that these donations can go towards supporting local Canadians of all ages who are struggling with poor heart health as well as providing funds for furthering heart research. Many of our staff have volunteered with a number of organizations over the years to help within this cause. Heart Month is only 1 month out of 12, and each year we seek new ways to assist. Another way we have gotten involved is by donating blood, plasma, and becoming organ donors. Giving continues to be an important way we can each individually lend a hand (or heart). Those living with heart disease have a higher risk for failure and emergencies. It was this knowledge that led our founder, Jan Kirkpatrick, to seek out the best AED brand to share with communities across Canada. After much research and investigation, it was found that the Philips AED is best. It is for this reason that First Edition offers these top defibrillators to the general public as solutions for unexpected heart emergencies. If you know of any further opportunities to fight for heart health, we would love to hear! We are always seeking new chances to help others and increase the quality of life for people around the world. The more we make others aware of this problem, the more we can assist babies, mothers, brothers, sisters, aunts, best friends, coworkers, and anyone else suffering from heart disease. Show some love this February, and make Heart Month a starting point in your journey to helping yourself and others!